The Guyer Barn, a one and a half story story wood frame barn, was originally an outbuilding for a residential property in 1865. It was converted into an art gallery and is now a showcase for emerging and established local artists in a wide variety of genres. The Guyer Barn is a community art space for black box theater productions, exhibits, classes, and workshops where visitors gather year round. Adjacent to Barnstable Town Hall parking lot, the Barn is accessible from Main Street, Hyannis through the Public Parking lot access, directly after JFK Museum and before Hyannis Public Library. The barn is open various hours, year round. You will always find the doors open when artists are busy working, or for classes and workshops. 50 Pearl Street was constructed in 1830 as a residential home and has a rich history as a gathering place for local artists, playwrights, and poets who congregated at the home for lively readings. Nautical-themed original Vernon Coleman murals decorate the basement walls. In 2007, the Town of Barnstable purchased the property and completed extensive renovations, turning it into gallery and studio space. Today the space is home to Gallery Artrio a fine art gallery featuring original oil, pastel, photography, sculpture and hand blown glass from local artists, plus beautiful hand wrought jewelry. Open Thanksgiving weekend, CLOSED Monday. When the Town purchased 50 Pearl in 2007, it included a former detached garage on the property which was converted into a potting studio. That studio is now Bass River Pottery which is the work of local potter Jeanmarie O’Clair. Her work includes sgraffito work, functional stoneware, whimsical sculpture and hand cut artisan tiles along with her original Mermaid Mug and Sea Shell Earring bowls. 46 Pearl Street is a renovated and restored 1920 Colonial Revival style bungalow which was converted into an artist’s live/work studio in 2007. The house was once owned by John Marcoux and two teachers from the old Hyannis Normal School resided there. Prior to the town purchase, former owner Jan Girardi turned it into a modeling agency. Artist Sarah Holl was the town’s first artist-in-residence to occupy the space. The HyArts Campus Artist-in-Residence program is an opportunity for an artist to rent a professional working studio space and gallery space in downtown Hyannis. This program is one of many arts oriented town programs contributing to a lively cultural destination where working artists engage with residents and visitors alike. 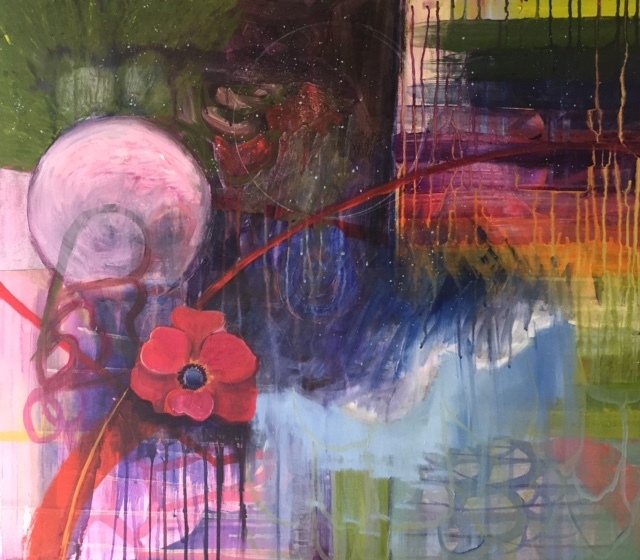 Mellissa Morris is an expressive abstract artist working with painting, collage, drawing and printmaking techniques. Inspired by imagery from the natural world, Morris uses these images often as metaphors in her work, becoming archetypes for deeper and more meaningful expressions of her personal experiences and the means in which she explores the depths of her spirit. Born and raised in Hyannis, Morris is the eldest daughter of seven children. 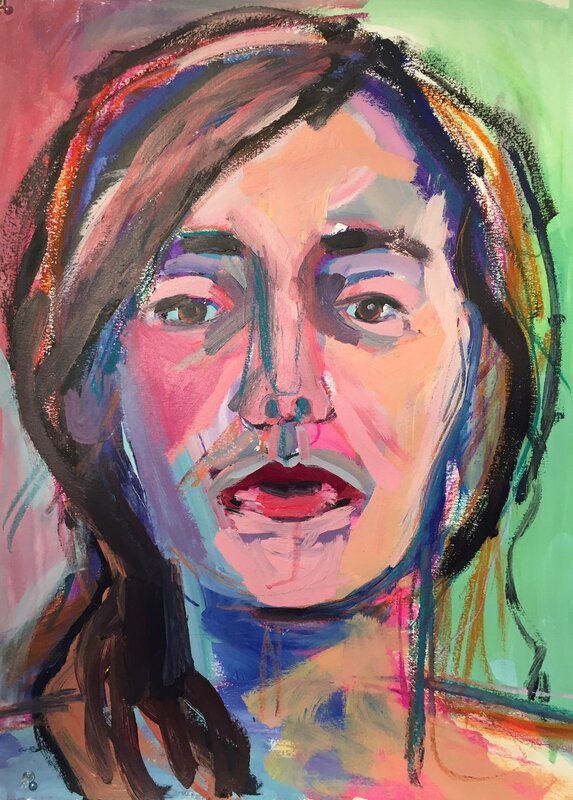 Graduate of the University of Massachusetts with a Masters in Fine Arts painting, Mellissa teaches at the Cape Cod Art Association and Cape Cod Child Development offering creative art yoga classes and activities. Mellissa is a musician as well, playing the ukulele and guitar. Mellissa also serves as an Adjunct Professor at Bunker Hill and Cape Cod Community College and is the co-owner of The Little Sandwich Shop on Main Street Hyannis. 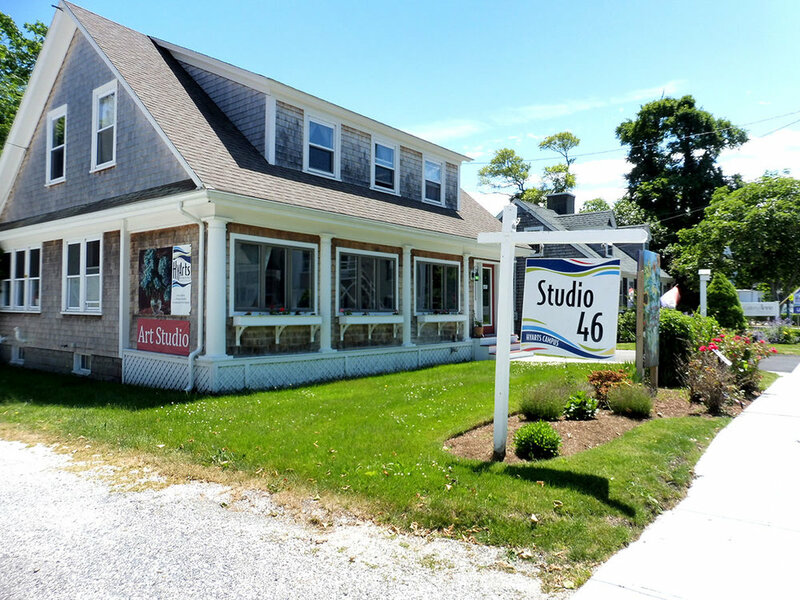 Studio 46 is located at 46 Pearl St, Hyannis MAon the HyArts Campus.